I'm still pondering this book. I already knew the surprise ending, of course, so Dimmsdale's speech to Hester to name the father or "compel him to the sin of hypocrisy" made me call him names.I'm sure volumes of critical literature have been written about this book, so there can't be anything original for me to say about it. I just wonder what would have been the effect on the lives of these people if Dimmsdale had 'fessed up at the beginning. I can't imagine that Hester and Dimmsdale would have been able to live together in happiness; I don't know that Chillingsworth would have stepped aside to allow the passion to move forward.Chillingsworth is interesting as a devilish figure, telling Dimmsdale at the end that the only place that Arthur was safe from him (Roger), was in confession. That, I think, is the best idea: tell the truth and take your lumps.Addendum (12/9/08): After more reflection, I am interested in the examination of guilt and repentence. As I understand the concepts (through my own religious tradition), guilt is only useful as a corrective guide: I did something, now I feel bad, I better not do that again. Repentence is a life altering emotion/action/decision. It begins with the recognition that our action has offended God -and I don't mean in the "cell phone in the toilet stall" sense of offense, but in the "degraded myself before my loving Creator" sense. It is felt as soul-searing remorse, and expressed as the determination to do what is needed to put things right with God and man. I don't know that either Hester or Dimmsdale ever truly feel remorse. Hester assumes the persona of adultery: she feels that her role is to be held up in the community as the symbol of sin, what ever its expression. But she isn't sorry for her sin. When she finally tells Dimmsdale that his demonic tormentor is her husband, their reaction best expressed as "Hey, we're only sinners here. Take Pearl and go anywhere else in the world, and we are just man, wife and child." There is no remorse or sense of offense in that.Dimmsdale is a poor excuse for a pastor, since he doesn't seem familiar with the Savior's statement on hypocrisy: that there are many who draw unto Him only with their lips, but that they are, in fact, whited sepulchres. Dimmsdale is exactly that: his holy appearance begins and ends with his pastoral garments. His flesh, his mind and his soul are corruption personified: he has a psychosomatic A branded on his chest, he flagellates himself (I think in violation of his own religious teachings), and he almost exults in proclaiming himself to be a vile sinner, while knowing that his congregation mistakes it for saintly humility.On more complete reflection, I am going to upgrade my review from 2 stars to 3. When I read this book in high school, I drudged bitterly through a couple meaningless symbols, wrote some half-hearted papers about "The question of morality," and shrugged off what I'd deemed a cliche, over-done little story.Upon a re-introduction to the novel in college, I was confronted with, not Hawthorne's dramatic "social commentary," but his HUMOR!! I fell in love with the antics of the 'demon-child,' I laughed at Hester's subtle attitude, and I was generally just blown away by how much I had missed in high school.I assume most readers have been forced to read it in their youth. Please. For the sake of neglected laughter: read it again!Who'd have thought a book about shame, adultery and isolation could produce such scenes that cause me, the unsuspecting reader, to laugh aloud at the pleasantly subversive humor speckled about the shadows. While I am generally opposed to banning or burning books, The Scarlet Letter made me come close to violating my morals. In the end, I decided that probably the best move that would preserve (what remains of) my integrity would be to shelve all copies of TSL in the very back of a deserted monastic library in lower Albania, to be slowly covered with centuries of detritus and dust and molder into the oblivion that this book deserves. I found myself squealing on the subway as the priest and the doctor moved in together and as Hester and the priest made plans to sail away into the sunset together. But then I found myself assuming pages must be missing from my book because such a plot couldn't end so disappointingly. yes....call me shallow. This was my third attempt at reading this book and I'm glad I stuck with it this time. I had a hard time with his syle of writing at first but by the end of the book I found myself really enjoying it and enjoying the story itself. For me the story ended much better than I thought it would. I read this in high school and remember it being positively dreary. 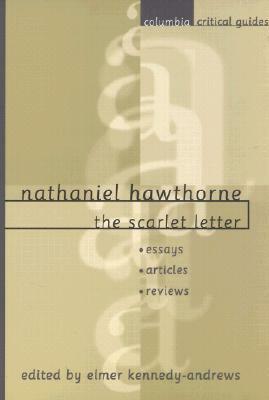 Maybe I should try reading it again but I'm afraid Hawthorne's writing style doesn't jive with my attention span. I read the House of Seven Gables not too long ago and I had a really hard time focusing while I was reading that. this book was so boring and i think it should be banned from school reading.